After nearly 15 hours of traveling we finally arrived in Rio de Janeiro. We had been told by Regis Tour Travel Service, who the mother used to book everything, they would have a driver meet us inside the airport, holding a sign with our names on it. Nope. We stepped outside to see if he was there. Nope. As a result of our “wandering” we were bombarded by local taxi drivers. One spoke excellent English and let us borrow his cell phone to call the driver from Regis Tour Travel. Mistake Number One: He dialed the phone number and then handed us the phone after speaking with the person on the other end for a moment (in Portuguese). We were told the van was broken down and to take a cab to the hotel. They would reimburse us the fee for the taxi. Mistake Number Two: He offered to take us to the hotel. We agreed. We were failing the first two rules of traveling – don’t take unnecessary risks and keep your wits. Those rules quickly came to flooding back into our head as he lead us downstairs and into a dark, empty garage to his black, unmarked car with dark tinted windows (they seemed to be completely blacked out). Mind you, other taxis were parked in front of the airport, not the garage. As we began to get our senses back we started asking for identification, he then began showing us several different official looking cards (all in Portuguese). The little siren in my head had started going off. It was time to bail. We tried to do so very politely by letting him know we just weren’t comfortable with this. We started to head back upstairs, or tried to but leaving wasn’t that easy. He started yelling and grabbed The Husband’s bag. He wasn’t going to let us leave. My heart started pounding and I had no idea how we were going to get out of here. Do you scream? Do you run? Yes and yes! But before we did a security guard entered the empty garage and the driver quickly changed his tune and politely let us go. As for Regis Tour Travel, I contacted them the following day and was told the driver had in fact been there and was waiting for us. They did agree to reimburse us for the ride, which had been prepaid for through the travel service. I’d like to think the driver at the airport was really was going to help us, but… I wouldn’t make the same mistake twice. 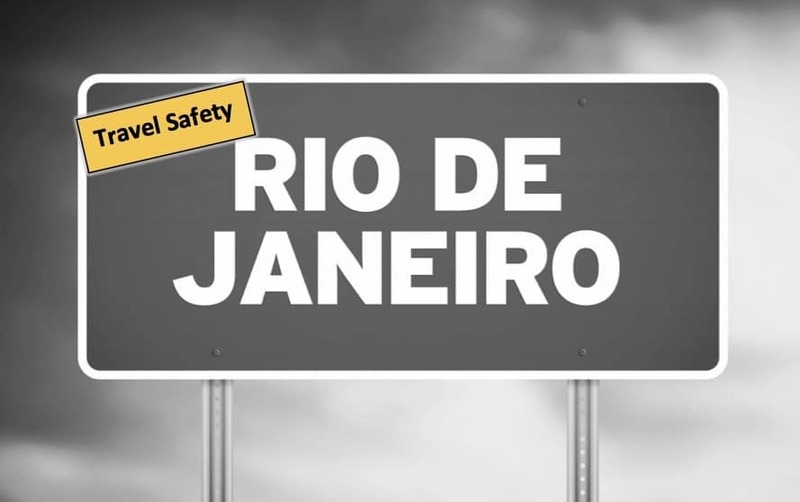 Here are a few tips I learned later regarding taking a taxi in Rio de Janeiro. 1. Few taxis are trustworthy in Brazil. 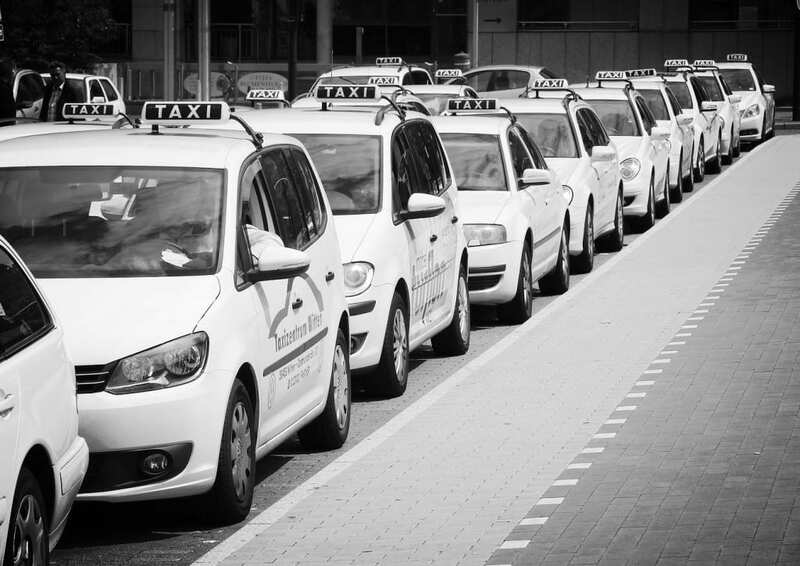 You should only take the yellow taxis or Radio Taxis that are white, green or blue. 2. There are many taxis in Rio and you can easily wave one down, but there are also taxi stands setup throughout the city in the tourist and business areas. Most hotels also have stands setup nearby. It is preferable to get a taxi from one of the stands as they are usually more reliable since they are affiliated with the organization that manages the stands. If there are not any taxis at one of the stands, there is phone number you can call to have one come pick you up. 3. If you need to hire a taxi from the airport, use one of the many booths to arrange the transport. At the international airport in Rio, the booths are located directly outside the area you enter after existing customs. 4. The yellow taxis operate on the meter system. Although you may need to remind them to turn on the meter. 5. Radio taxis (white, green or blue) may be a bit more expensive but many times you can set a fixed rate with them regardless of the time of day/traffic. Which, can work to your advantage if you’re stuck in traffic. 6. Many hotels work with private drivers and will have a service available right outside for their guests. Most of the private cars are unmarked. These drivers do not have to follow the same rules tied to a meter so their pricing may be higher. It’s wise to negotiate and/or set a flat rate. The hotel will tell you these cars are safer than a typical taxi. 7. Rates change depending on the time, the day and the season. During Carnaval you can expect to pay more than you would during off-season. And on Sunday’s you’ll pay more than you would Monday-Saturday. As for times, the rates are typically lower from 6am-9pm and then increase 9pm-6am. Have you ever been in an “iffy” situation when taking a taxi? Do tell. This is great advice. It is amazing how many scams there are out there involving taxi drivers. It is a good thing that you did not go with him. I know… I’d like to think he was really going to help us and we were just over reacting. But, better safe than sorry. Wow- that is crazy-scary! Esp since my sister and I did something similar in Johannesburg and trusted a taxi driver to call our hotel, since our ride wasn’t there. Everything turned out ok, and I thought “wow, these people are so nice!” but it could have gone the completely opposite way! Thanks for sharing this! Storing it in the memory file for any time I visit Rio! That sounds like quite an introduction to Rio, what an experience and great tips. What a scary story. It’s a good reminder for anyone traveling anywhere to stick to the authorized cab line at the airport. Glad you guys are okay. Thanks, it ended up being just fine and we for sure stuck to authorized cabs during the rest of the trip. Oh wow, glad you are ok and didn’t take the ride! Great tips–it’s always good to know about the taxis and safest transportation. Hope the rest of the trip was great! That’s so scary! I’m glad you knew when to back out – and that the security guard came around when you needed him. I know, his timing was perfect. As always, great post. What a scary situation – good work standing up for yourself! Sometimes these things can happen so quickly it’s hard to keep your wits about you. I’ve learned an important lesson from this – always have a back up plan even when you thing all the steps of a journey have been arranged. I was robbed and left in the middle of nowhere at 2 a.m. on a Saturday night by a taxi driver in Mexico City. Does that qualify as an iffy situation? I can send you a link to my write-up of that adventure if you’re interested. Yes, that would be an “iffy” situation. Please share the link, would love to read about it. Wow, you’ve saved someone a lot of heartache and some scary moments. Sorry you had to learn it through personal and frightening experience, but thank the Lord you had your wits about you and knew when to run! How terrifying! I’m so glad it turned out so you could warn others with this tale. That is quite scary – I had no idea that type of thing happens! Glad everything turned out ok!! Hoe. Lee. Ca-rap. That’s one scary story. I’m glad you guys made it out of there. Score one for going with your gut and never let them take you to the second location. We had some hairy moments with taxicabs in Cancun a few years back, and now I am pretty leery of them in a lot of places. It was so bad that I actually preferred jumping on the local buses! WOW! That is pretty scary experience to have. Thank goodness you thought better than to trust that guy! Thanks for sharing this advice! That’s exciting! Brazil is beatiful. Where in the country are you going, that will kinda depend on the beach front hotels. The toursim boards website – visitbrazil.com – is a great resource to help map out areas and hotels. When I was in Rio I stayed in a hotel on Ipanema Beach, I beleive it was Arena Ipanema Hotel. That’s for sure the worst time you can ever go to Rio. Rio has been a war zone for the past 20 years. But this year, specially because of the new president and fight against drug dealers and organized crime members, the city is in complete caos. I lived in that hell fir over 9 years. Love the place fir its natural beauty as much as I hate the nature of the locals and how untrustworthy they are when they realize you’re not from there. I would go back and visit the State, but the City of Rio forever erased from my list of destinations. Praying for you and the ones you love! Really hope you return home safe. Great guide! It’s definitely good to know which times of the day/year prices increase and budget accordingly for transport. So glad you were able to travel safely for the rest of your trip!